We need a few NON-musician semi-celebs that would be interested in testing out the UIA concept. Basically, if you know anyone with a fan base (or a lot of followers on social media) that would be interested in selling UIA to their fanbase, point them to my email: cedric at peertracks dot com. These people can be athletes, bodybuilders, twitch streamers, youtube stars, actors, etc. It can be a great way to engage their followers. We just a need a few non-music people to test it out in different niches. If someone with strong writing skills would be willing to write up a short template email, I'm sure there's many of us that wouldn't mind getting the word out. I'm a bit slammed with things right now, but I could take a shot at writing a template e-mail if someone can draw up an outline or rough draft. I feel like Reddit is a good place to go for semi-famous people. I'll randomly see posts like this one where somebody with a good sob story or a good idea is trying to contact a random famous person, and somebody who happens to be reading it knows said famous person and then they show up in thread. Could you assist? There's plenty of people willing to do the leg work. I'd also appeal to [member=602]fuzzy[/member] to help us get the word out. Even a page on the website highlights the features for non-musicians would make it easy for us to hit social media. So we want that in place before we start yelling our name out. Would you like to work with gamers ? 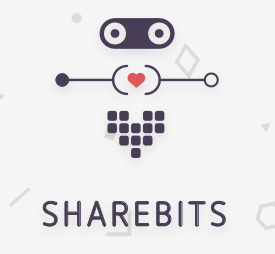 We work with a large number of renown gamers (and will be working with them for Bitshares soon) - and I'd be glad to connect them if you want to sponsor them. Great market to tap into. What type of rewards would gamers offer to their fans? Exclusive tutorials? Q/As?